Пришла пора обновить память и скомпилять это все в дайджест. Topics: Step-by-step instructions for installing / using the course software environment, and submitting assignments to the course autograder. Lab 1: NumPy, Linear Algebra, and Lambda Function Review. Topics: Big data and hardware trends, history of Apache Spark, Spark's Resilient Distributed Datasets (RDDs), transformations, and actions. Lab 2: Learning Apache Spark. Perform your first course lab where you will learn about the Spark data model, transformations, and actions, and write a word counting program to count the words in all of Shakespeare's plays. Lab 3: Millionsong Regression Pipeline. Develop an end-to-end linear regression pipeline to predict the release year of a song given a set of audio features. 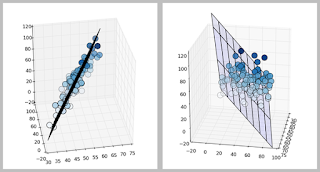 You will implement a gradient descent solver for linear regression, use Spark's machine Learning library ( mllib) to train additional models, tune models via grid search, improve accuracy using quadratic features, and visualize various intermediate results to build intuition. Lab 4: Click-through Rate Prediction Pipeline. Construct a logistic regression pipeline to predict click-through rate using data from a recent Kaggle competition. 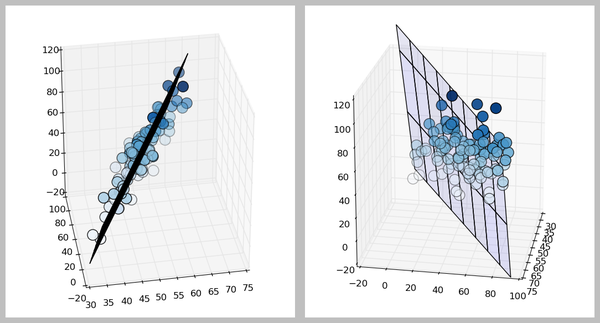 You will extract numerical features from the raw categorical data using one-hot-encoding, reduce the dimensionality of these features via hashing, train logistic regression models using mllib, tune hyperparameter via grid search, and interpret probabilistic predictions via a ROC plot. Lab 5: Neuroimaging Analysis via PCA - Identify patterns of brain activity in larval zebrafish. You will work with time-varying images (generated using a technique called light-sheet microscopy) that capture a zebrafish's neural activity as it is presented with a moving visual pattern. After implementing distributed PCA from scratch and gaining intuition by working with synthetic data, you will use PCA to identify distinct patterns across the zebrafish brain that are induced by different types of stimuli. Information for setting up for the Spark MOOC, and lab assignments for the course. classifiers: logistic regression, SVM, decision tree, random forest, etc. – how to deal with failures? – lazy evaluation: nothing executes, Spark saves recipe for transforming source. – Driver programs access Spark through a SparkContext object, which represents a connection to a computing cluster. – When you run map() on a dataset, a single stage of tasks is launched. – A stage is a group of tasks that all perform the same computation, but on different input data. – One task is launched for each partitition. A task is a unit of execution that runs on a single machine. – the data returned to the driver must fit into the driver's available memory. If not, the driver will crash. – The filter(f) method is a transformation operation that creates a new RDD from the input RDD...Elements that do not return True will be dropped. – The key advantage of using takeOrdered() instead of first() or take() is that takeOrdered() returns a deterministic result. – The reduce() action reduces the elements of a RDD to a single value by applying a function that takes two parameters and returns a single value. The function should be commutative and associative, as reduce() is applied at the partition level and then again to aggregate results from partitions. – foldByKey() merges the values for each key using an associative function and a neutral "zero value". – all other things being equal, models with smaller weights will be selected over models with larger weights. and typically to represent our data numerically. and subsequently evaluate it on the test data. which enable us to incorporate pairwise feature interactions into our model. – Our goal is to map audio features and, in particular, our quadratic features to song year. – We'll be using a ridge regression model to learn this mapping. how should we go about choosing a value for this free parameter lambda? And in fact, most methods have free parameters, which are often called hyperparameters, that need to be tuned. – We now use the training data to train potentially multiple models, each with different hyperparameter settings. and the test set to evaluate the final model's accuracy. we'll note that f(w) is a summation. So we can compute the derivative by taking the derivative of each of the summands separately and summing the results. Moreover, we can take the derivative of each summand using the chain rule. – cons: slow convergence (compared with closed-form); requires communication across nodes! # have large errors to start. # Calculate the `gradient`. Make use of the `gradientSummand` function you wrote in (3a). # Note that `gradient` sould be a `DenseVector` of length `d`. – how likely it is for a user to click on an ad? – how can we evaluate predictions? – this is not a convex function, alas. – how can we determine the best choice? – raw data includes 39 features describing users, ads, and publishers. # Calculate the probability for an observation given a set of weights and intercept. # Calculates the log loss for the data given the model. """Calculates the average sparsity for the features in an RDD of LabeledPoints. float: The average of the ratio of features in a point to total features. – PCA solution represents the original data in terms of it's directions of maximal variation. – and also assumes that the principal components are orthogonal. and that it is orthogonal to all directions we chose in previous iterations. second large-scale setting, we assume that both n and d are large. each worker will need to store bi locally in order to compute the overall result, qi, in the next step. as it is presented with a moving visual pattern. """Compute the covariance matrix for a given rdd. length of the arrays in the input `RDD`. """Calculate the fraction of variance explained by the top `k` eigenvectors. by the top `k` eigenvectors. """Parse the raw data into a (`tuple`, `np.ndarray`) pair. """Take a np.ndarray and return the standardized array by subtracting and dividing by the mean. np.ndarray: The times series adjusted by subtracting the mean and dividing by the mean. # vector and the second element is the sum of the 1, 3, and 5 indexed elements of vector. # the sum of the 2 and 5 indexed elements of vector. # Transform scaledData using T.  Make sure to retain the keys. # Transform scaledData using D.  Make sure to retain the keys.